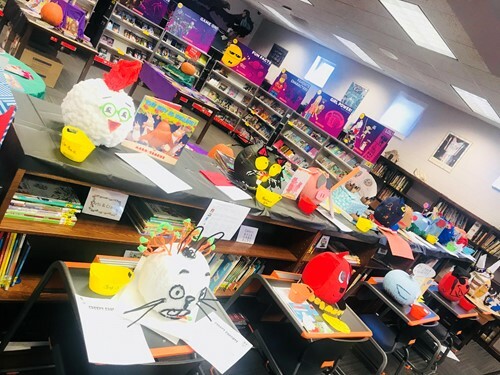 The students at Stevenson Elementary have been working in their classroom as a team to create a book character using a pumpkin. The students collaborated together with the help of a storybook, glitter, and a BIG imagination! At Stevenson, we like to rally around a great challenge, and this time of year our students excelled at “The Great Panther Pumpkin Challenge”. Our wonderful Librarian, Mrs. Sherry Bouldin, was instrumental in making the event come to life with the displaying of every proud Panther pumpkin, the book, and description of their project. Literacy Coach, Mrs. Elizabeth Dye, has been instrumental in organizing such a fun classroom collaboration. “When creating this challenge, I wanted it to be a purposeful connection to Literacy. It gave me pride in how excited the students were about expressing their creativity and bringing the characters to life,” said Mrs. Dye. All students will get an opportunity to vote on their favorite pumpkin character based on creativity, a descriptive paragraph, and use of art supplies. 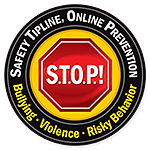 On Friday, the 26th, all students will find out the top 3 classroom winners. The winning classrooms will receive a Panther popcorn party, pizza party, or ice cream party. All classrooms will receive a certificate for participating in “The Great Panther Pumpkin Challenge”, as well as a surprise classroom book. “Students become more engaged in literacy skills when they are able to become more involved through hands-on activities. Thanks to Mindy Key and Elizabeth Dye for providing a great literacy opportunity for all students here at Stevenson!” said Robin Cornelius, Principal at Stevenson Elementary.